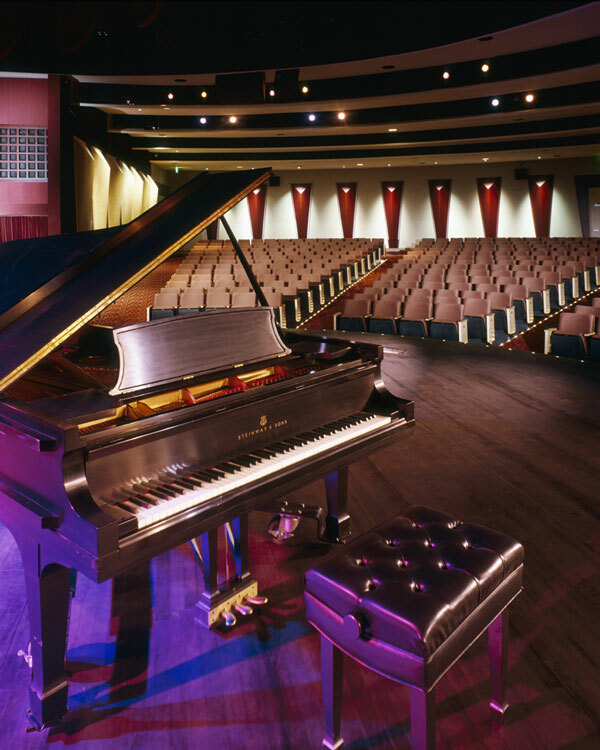 The Wynmoor Community Theatre in Coconut Creek, Florida was renovated and refurbished by R. J. Heisenbottle Architects to lend the theatre an updated appearance. 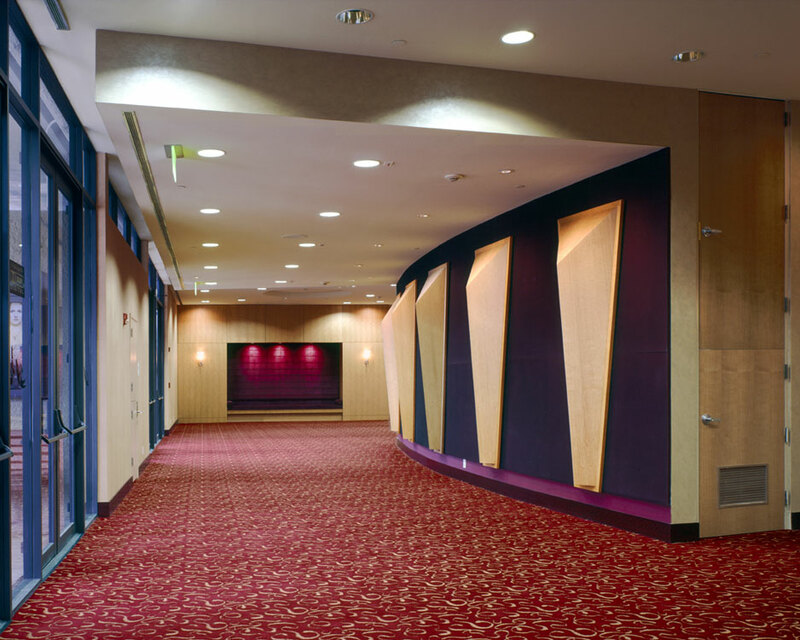 The interior renovation gave the theatre a fresh new feel complemented by updated furnishings and theatrical/stage components. This included reconfiguring the thrust stage, installation of new seating, carpeting, acoustical treatment, wall fabric, stage curtain and lighting. Other areas that were renovated included the lobby, offices, dressing rooms and public restrooms, which were made ADA compliant. A new sprinkler system with related fire alarm upgrades was also installed. 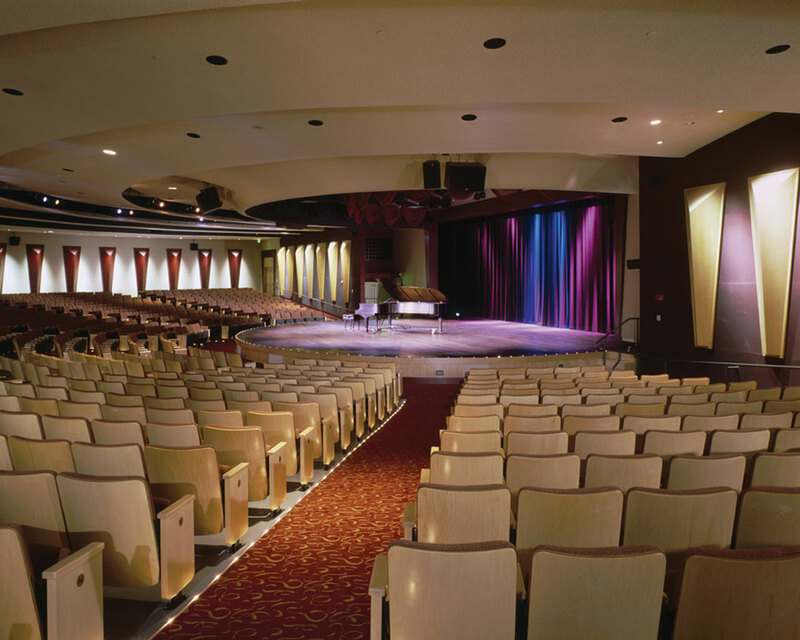 Lastly, the theatre’s circular stage which, lends the Wynmoor an intimate feel, also speaks to the theatre’s purpose as a community gathering place.